When The Fast and the Furious opened in cinemas back in 2001, few people, if any at all, thought that it would turn into a global cinematic juggernaut. And yet here we are, 16 years and eight movies into becoming the most bankable movie franchise this side of super heroes and that galaxy far, far away. 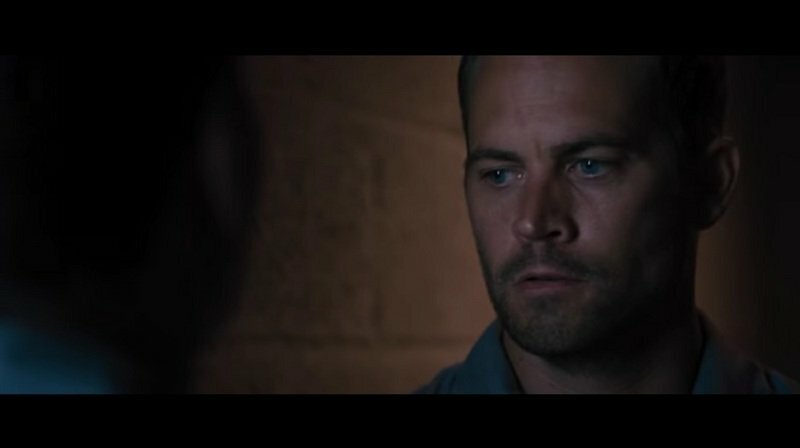 The sheer might of the Fast and Furious franchise was on full display with the release of The Fate of the Furious, the eighth installment in the franchise and the movie that just zoomed its way to a record-breaking, $532-million opening weekend. If you thought you’d never see the day a Fast movie would beat out a Star Wars movie in opening weekend returns, well, it just happened. Beyond the rarefied air that the franchise has achieved, there are still a lot of things about it that most of its fans are unaware of. Consider this then as a guide to a lot of important facts about the movies franchise that should give its fans a new-found appreciation of the many things, events, and what-could-have-beens that shaped the world of the Fast and Furious universe. I mean, did you know that Vin Diesel wasn’t even the first choice to play the role of Domenic Toretto? 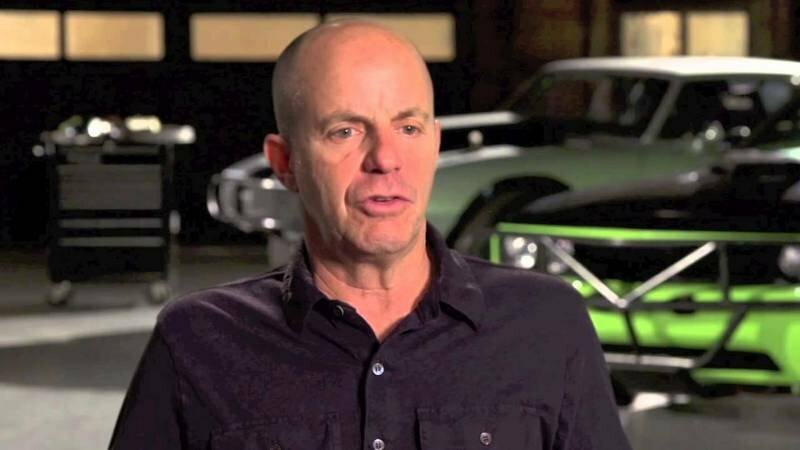 In an interview with The Ringer’s Bill Simmons, producer Neil Moritz let it slip that of the thousands of people who have been involved in the Fast and Furious franchise, he’s the only one to have been involved in all eight movies. Costume designer Sanja Hayes, credited for being one of the most influential people in creating the “look” of the franchise, would’ve have been the only other one but she bowed out of being involved in The Fate of the Furious for scheduling reasons. Most people forget but even the stalwarts of the franchise, Vin Diesel and the late Paul Walker, were not involved in all eight movies. Diesel, for example, was not in 2 Fast 2 Furious despite being offered $25 million to reprise his role while Walker was not in Tokyo Drift and The Fate and the Furious. In the same Simmons interview, Moritz also admitted that Universal Studios had a different actor in mind to play the role of Domenic Toretto. According to the producer, the studio initially wanted Timothy Olyphant to play Toretto’s role, saying that it would “green light” the movie if the producer managed to get the Deadwood star to take the role. As fate would have it, Olyphant turned the opportunity down and the rest, as they say, is Fast and Furious history. 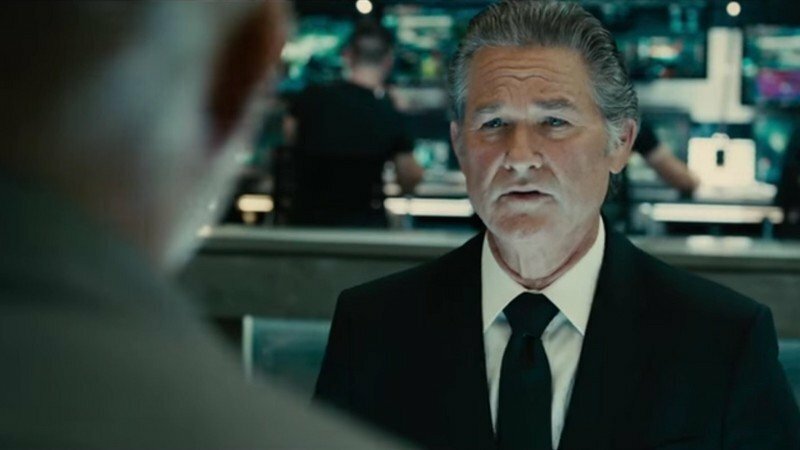 Speaking of actors passing up roles, the role of Mr. Nobody wasn’t supposed to go to Kurt Russell. The role was initially offered to none other than Denzel Washington, but according to reports, the Academy Award winner turned it down because the role was “too small” for an actor of his stature. While Washington’s involvement in the Fast franchise would’ve been huge news, it’s hard to imagine the role of Mr. Nobody without Russell’s particular charm that has made the character one of the most interesting ones in the whole franchise. While not totally confirmed, there were reports that even Paul Walker wasn’t a slam dunk to land the role of Brian O’Connor in the first Fast and Furious movie. According to various outlets, Mark Wahlberg, Christian Bale, and even Eminem were all considered for the role. At the same time, Jordana Brewster’s Mia Toretto character could have been played by somebody else as Natalie Portman was also considered for the role. Portman wasn’t the only one too as names like Jessica Alba, Bijou Phillips, Sarah Michelle Gellar, and Kirsten Dunst were all thrown around to play Dom Toretto’s little sister. Here’s a nice little nugget for all of you. For the record, Han’s full name is "Han Seoul-Oh." You don’t need to stretch any brain cells to figure out where it’s inspired from, right? If you go back to all eight movies, Han’s full name actually isn’t mentioned until it turned up on Luke Hobbs’ computer in Fast Five. Remember when Brian O’Connor spent some time in prison to get some intel from Fast and Furious baddie Campos (played by John Ortiz)? He uses the name “T. Bridges,” which is actually the combination of Tyrese Gibson’s first name and Chris “Ludacris” Bridge’s last name. Bet you didn’t know that, huh? Someone actually calculated the runway scene in Furious 6 and the whole thing stretched 29 miles! The actual number is 28.829 miles, at least according to Vulture, which did an entire article on calculating the exact length of the damn thing back in 2013. Kudos for the meticulousness, Vulture! In any case, a 29-mile runway is not only beyond the stretch of even the most fancied of imaginations, it’s also 8.5 times longer than the real longest paved runway in the world. That’s only 3.4 miles long and belongs to the Chinese Qamdo Bamda Airport, and is almost four times longer than the longest partially paved, partially unpaved runway in the world, which happens to be the 7.5-mile runway at Edwards Air Force Base in California. 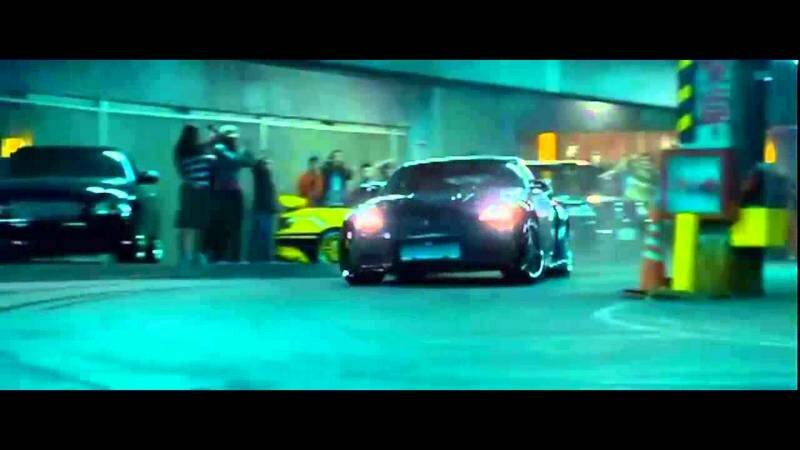 A title of “Drift King” was one of the central conflicts of Tokyo Drift with actor Brian Tee being bestowed that distinction before Lucas Black’s character Sean Boswell earned the title for himself after winning one of the best racing sequences of the whole franchise. But while the title of DK was fictional within the F&F universe, there is an actual Drift King in Japan and he is none other than Japanese racing legend Keiichi Tsuchiya. The real cool fact here is that Tsuchiya actually made a cameo in Tokyo Drift as the fisherman in the blue jacket who mocks Black’s character when he was learning how to drift in the fish market. Extra nugget: Tsuchiya actually performed most of the scenes of Sean Boswell learning how to drift. For the record, the exact address of the house is 722 E Kensington Rd, Los Angeles, CA 90026. Do the drop-by when you get the opportunity. Chances are, you won’t be the only one taking photos of the place. Due to high costs and safety concerns, a majority of the filming of Fast Five actually took place in San Juan, Puerto Rico, despite the movie being set in Rio De Janeiro, Brazil. 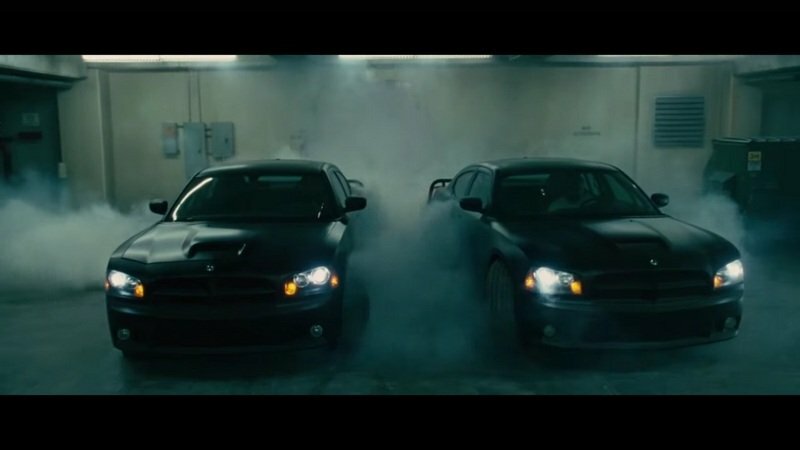 The most notable of these scenes was the vault scene, which was shot entirely on location in San Juan with the street races being shot in Atlanta. There were some scenes that were shot in Rio though, most prominently the favela chase sequence. Roger Corman, considered the godfather of independent film and the “Pope of Pop Cinema” is actually credited by Moritz for the Fast and Furious title. Apparently, Corman owned the original rights of the title because he produced a movie in 1955 with the same title starring John Ireland. The premise of that movie was that of a wrongly convicted man who escapes from prison and joins a police-eluding racing circuit. Sounds familiar, right? Turns out, Moritz and Universal approached Corman and asked permission to use the title for the first movie in 2001. The two sides eventually agreed on a deal wherein Universal traded stock footage from old Universal movies in exchange for the use of the title. If that hadn’t happened, the movie could’ve had a different name with examples like “Race Wars,” “Street Wars,” and “Red Line” among the choices. 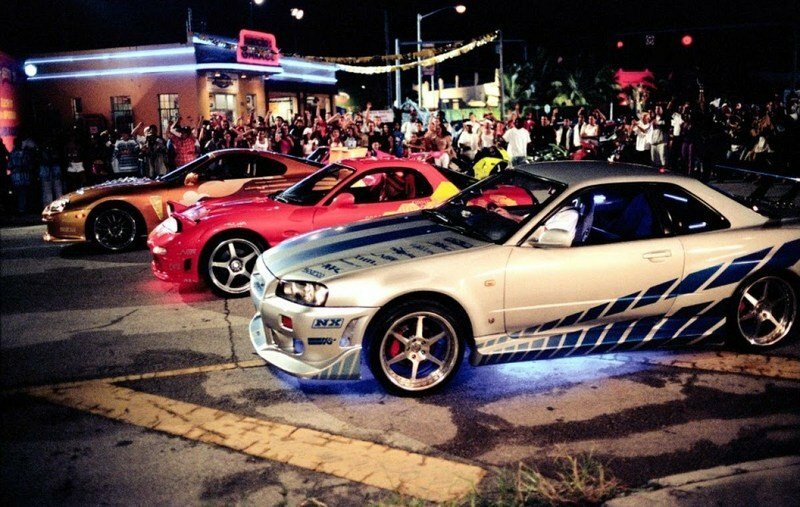 Looking back now, the colorful and bombastic cars that were used in 2 Fast 2 Furious would’ve been out of the place in the overarching Fast and Furious universe, but apparently, the movie’s director, John Singleton, wanted to base the aesthetic and tone of the movie on the colorful world of Japanese anime and video games. His main pegs? Speed Racer and the Gran Turismo. No, Facebook didn’t directly campaign for The Rock to be added to the Fast and Furious franchise. Instead, Vin Diesel went to his official Facebook page before production of Fast Five to ask the fans for possible ideas on the fifth movie. Somebody instead suggested adding Johnson to the franchise and as the script for the movie was being made, the producers reached out to The Rock and here we are. Imagine the surprise in Rodriguez’s face when she saw that Letty was still alive when Eva Mendes reprised her own character, U.S. Customs Agent Monica Fuentes, in the scene with Johnson. Fortunately, she signed off to return to the franchise when the producers called her after the release of Fast Five. Imagine the last three Fast movies without Rodriguez being in any of them. Those fight scenes with MMA legends Gina Carano and Ronda Rousey wouldn’t have happened!